San Diego’s drive-through art gallery expands! – Cool San Diego Sights! San Diego’s drive-through art gallery expands! 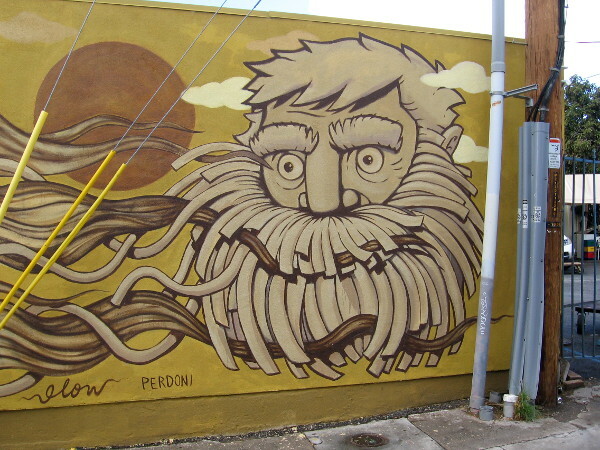 The right half of one wall at University Avenue and Laverne Place has been painted by artist Matthew Perdoni. On Sunday I enjoyed another walk through San Diego’s expanding “drive-through” art gallery in City Heights. And I spotted more murals! 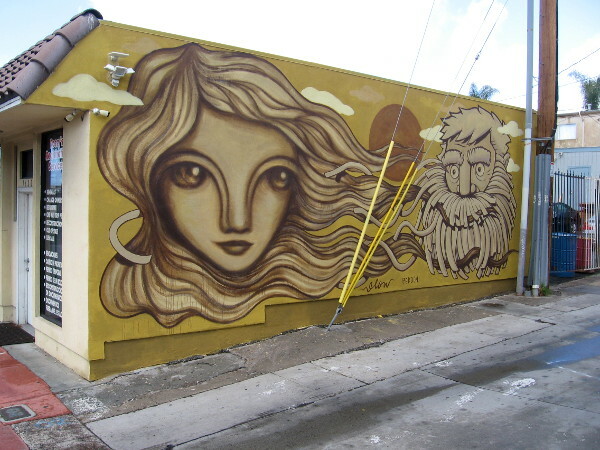 The first time I checked out the murals of #theavenuemuralproject was four months ago. I was given a tour by members of Love City Heights, and learned about their ambitious plan to create an outdoor, drive-through art gallery along University Avenue from I-805 to I-15. To see those first murals and learn much more, you can read my original blog post here. 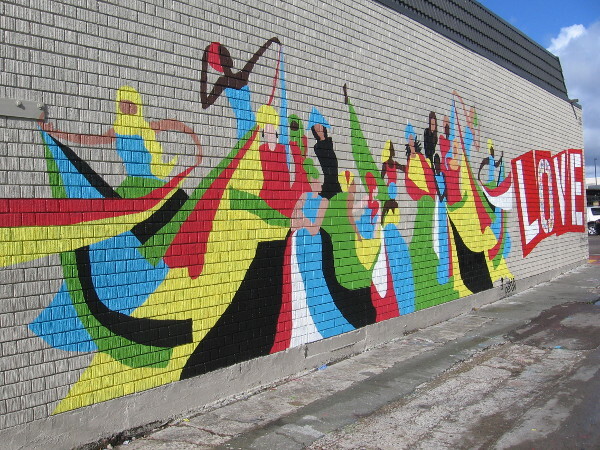 These murals provide proof that good people can make a huge positive difference in their community. Many wonderful artists, students and neighbors are coming together to make this amazing vision a reality! The left half of the wall was painted by San Diego muralist Gloria Muriel. 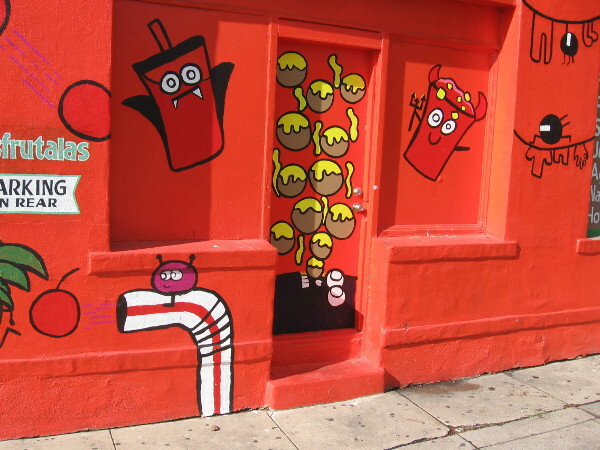 Students from an Experimental Processes in Art class at SDSU painted a mural on the wall of 7-Eleven. The design was inspired by the nonprofit United Women of East Africa Support Team. 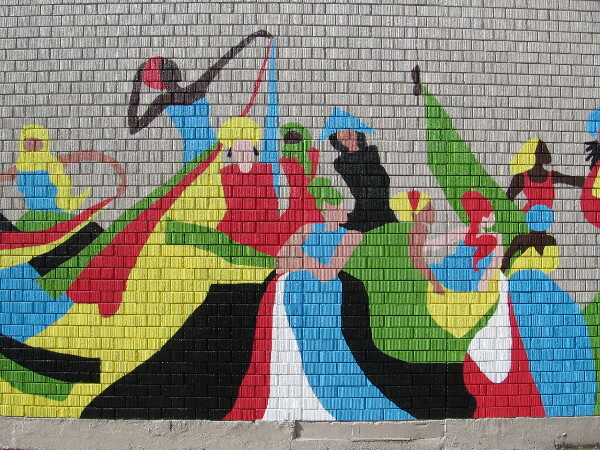 Left half of the colorful mural. 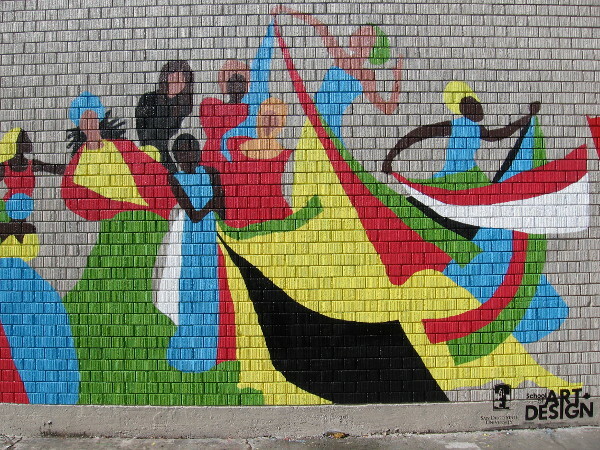 which depicts female members of the East African community in San Diego. The right half of the mural. 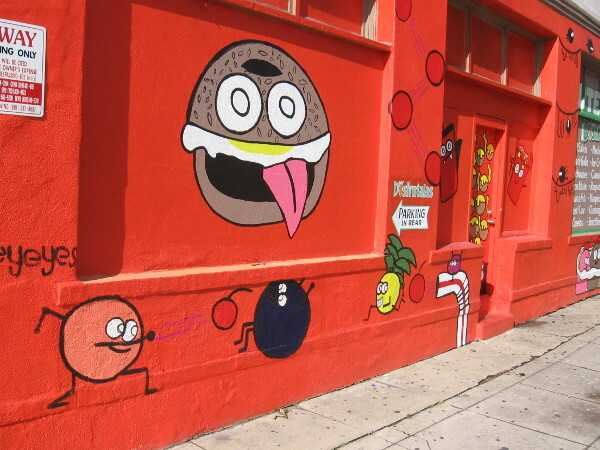 Joyful art created by students at San Diego State University adds life to City Heights. 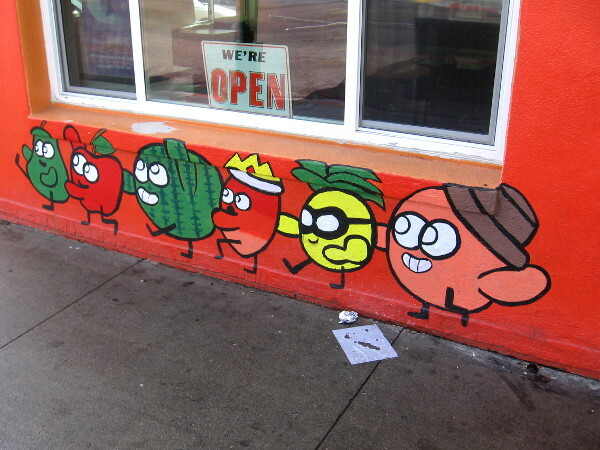 Fun artwork on the wall of Fruteria Disfrutalas at University Avenue and Cherokee Street. 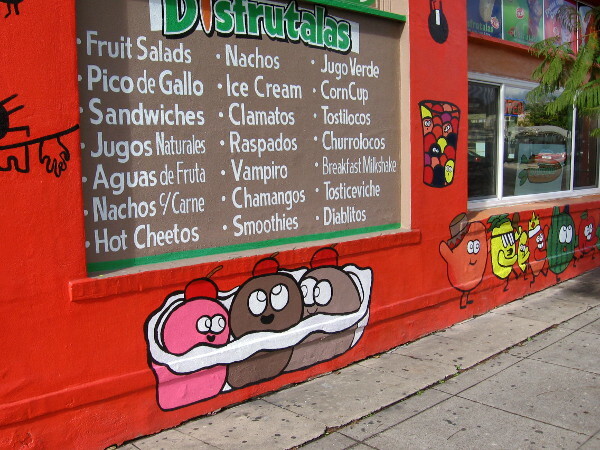 More fun artwork on another side of Fruteria Disfrutalas. All these happy images were created by Isaias Crow and his 14 year old apprentice Andrew, who designed the fun artwork. Silly, creative public art produces smiles in City Heights! 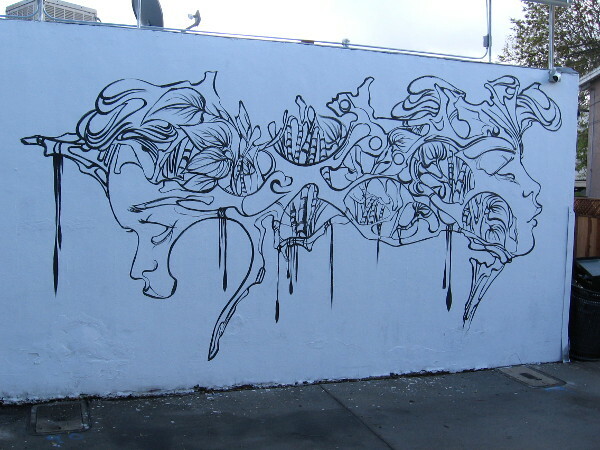 A beautiful graphic on the wall of Sunset Kava in City Heights, by artist Zuzana Vass. 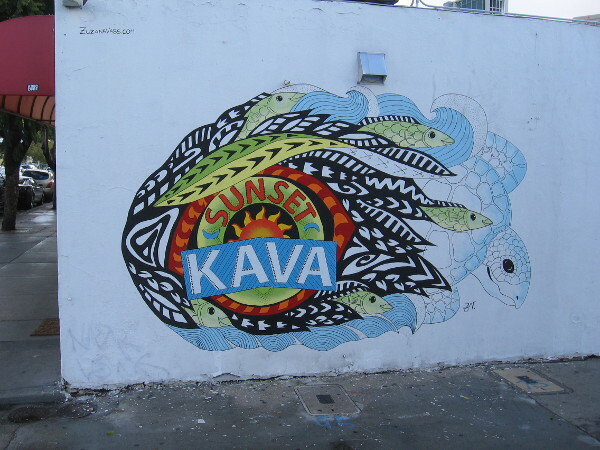 On the same Sunset Kava wall a very cool abstract design was recently painted by artist Mary Jhun. Previous Previous post: Lines, curves, contrasts and mysteries. Next Next post: Sand sculpture murals show San Diego history!